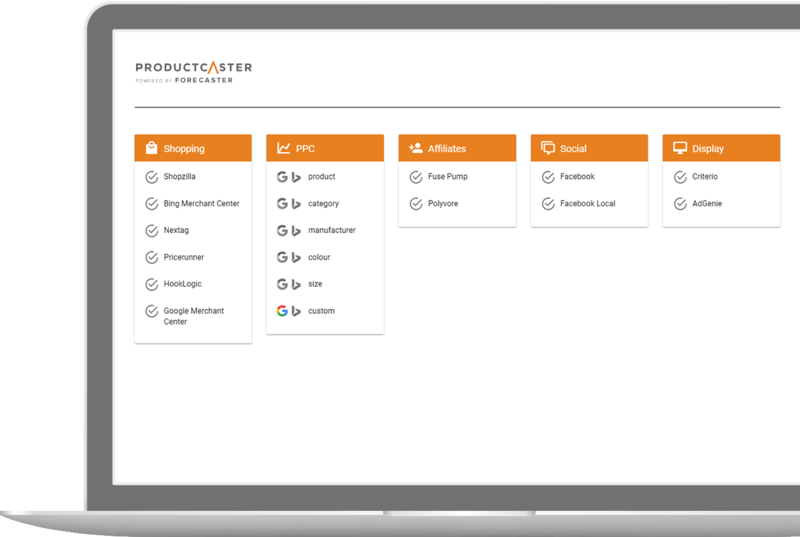 Productcaster is a product feed powered publishing engine designed to help retailers have their products reach the widest possible audience across all digital channels. We have developed Productcaster over the last 10 years to improve the performance of our retail clients across paid media channels. Productcaster is in continuous development based on the feedback of our clients, and looks to take advantage of the latest opportunities in digital media. Our feed management solution takes a single product feed from a retailer and adjusts it to suit partners’ requirements. It is compatible with all feed-driven partners across ecommerce – both marketing and on site – and enables you to configure and apply rules for each partner. Using feed manager, you can optimise product feed attributes to improve performance, for example you can add ‘must have’ attributes such as GTINs or MPNs and optimise product titles and descriptions, either across the entire feed or at specific partner level. Portfolio Manager is an inventory-driven paid search management solution that enables retailers to automatically publish and update their portfolio of products across paid search engines. Changes can be dynamically applied at scale across all of your campaigns from category to product level as rapidly as they occur with your product feed, meaning your creatives are always up to date with stock, price and range information and the message is always accurate to the customer. Setting up and managing promotions at scale can be challenging. Promotions Manager is a solution which enables retailers to manage promotional messaging across their entire paid search campaigns. Promotions can be set up ahead of launch for advanced approval and can be triggered at any time of day without the need for any manual activation. 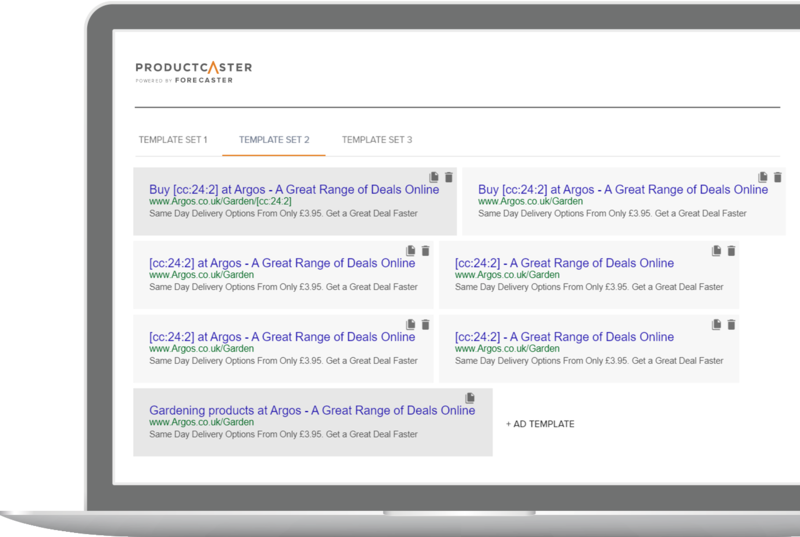 By publishing a retailer’s product feed to our multi category comparison site, we can enable retailers to save money on their product ads across Google Shopping. More competitive media rates are available through bidding via the CSS approach rather than the traditional PLA approach. We take your feed published through the merchant centre and automatically update our comparison site to reflect the changes made in your product feed. Productcaster is managed and developed by the marketing technology division of Summit Media.